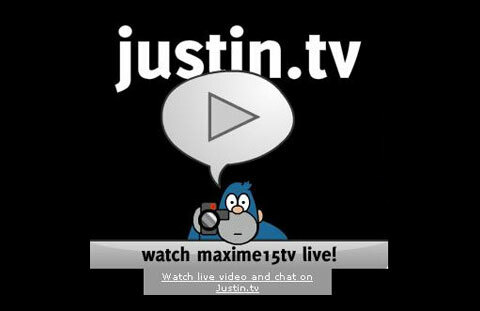 Justin.Tv is currently the biggest online community for people to broadcast, watch and interact around live video. It has more than 41 million unique visitors per month and 428,000 channels broadcasting more than 300 million live videos per month. The company launched their Android app a few weeks ago and today they’re releasing their iPhone app which allows you to broadcast live video from your iPhone on Justin.tv. Justin.tv previously offered a view-only app for the iPhone but now it’s offering live broadcasting which will obviously add a huge number of new users to the company. Time spent watching live video is up 650% in the U.S. over the past year, thanks to a number of live video publishers including Justin.tv, Ustream, Livestream and Qik. People love to broadcast their activities with friends, concerts, weddings, birthdays, graduations etc and Justin.tv is providing another platform to iPhone users to do just that, giving competition to Ustream and Qik iPhone apps. The app is a standalone service from the Justin.tv website as users can start broadcasting immediately after downloading the app without having to visit the website. User videos are archived on the site forever and can be shared with friends on Facebook and Twitter. You can chat with friends in real-time via the app, switch between the front-end and back-end camera (for iPhone 4 users) and also broadcast in landscape mode. The app adjusts the bit rate at which the video is uploaded, and will switch between Edge, 3G and Wi-Fi without dropping your video stream. Despite being a late entrant to the iPhone live video streaming market Justin.tv promises to bring additional functionalities to its iPhone and Android apps, including hardware video encoding, improved real time chat and much more to score over existing competitors. The Android app has been adopted by 20% of the company’s unique broadcasters and Justin.tv expects faster adoption of its iPhone app. CEO Justin.tv, Michael Seibel expressed his confidence in the company’s exclusivity in the wake of giants like YouTube entering the live streaming market with some valid arguments. He points out that many of Justin.tv’s competitors offer live streams of big events and premium content through their chosen partners only which limits their user base. Justin.tv is more focused on the UGC realm which will help the start-up maintain a unique competitive advantage.